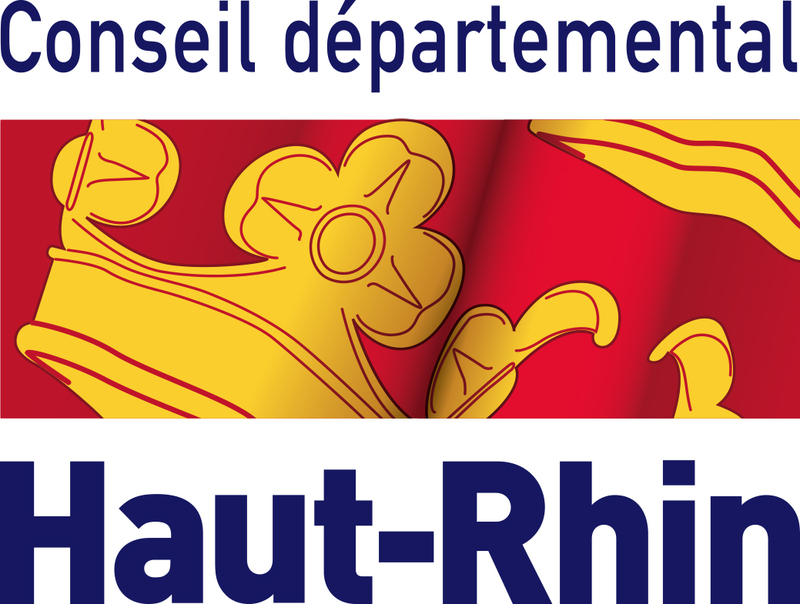 The Château-Lambert hamlet located in the small Haut-du-Them village – in the Haute-Saône region – houses the Nature and Culture Area created by the Haute-Saône General Council in the summer 2009. 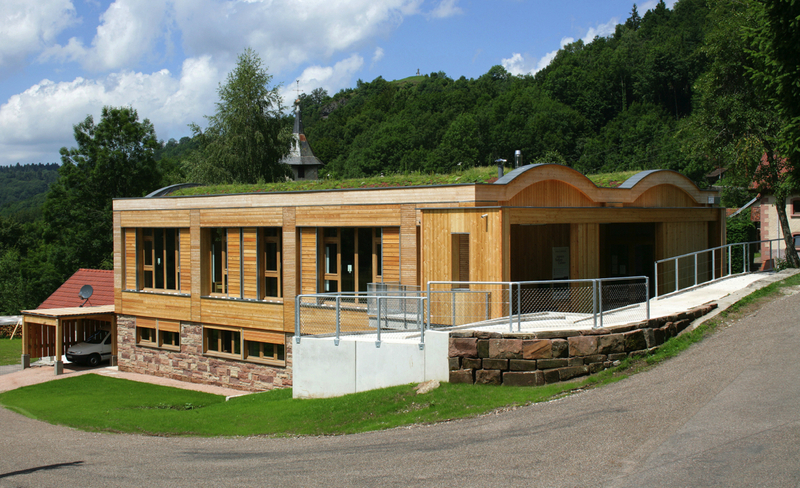 This building houses offices for the Vosges Saônoises Nature House, the Franche-Comté Ballons Nature Reserve and the Ballons des Vosges Regional Natural Park. 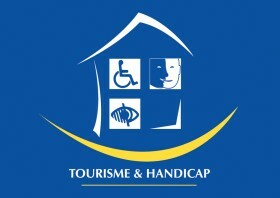 Open all year and admission-free, it dedicates 250 m2 to welcoming visitors. A permanent exhibition presents the natural and cultural wealth of the Vosges Saônoises. A shop and a children’s reading corner complete the visit. 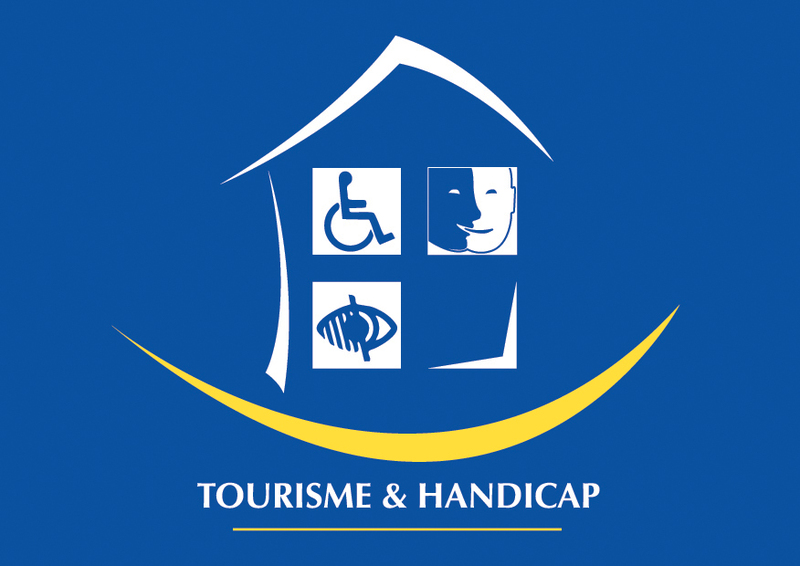 Accredited with the “Tourism and Disability” Label in 2013, the Nature and Culture Area is adapted to welcome disabled persons (cognitive, motor and visual disabilities). • comfort for dwellers and visitors. The Ognon Fall. The Ognon River originates in Château-Lambert. The first few kilometres flow into a torrent, then the river swells down the slope where streams join in to create a delightful waterfall. The Ognon Fall is a magnificent 14-metre waterfall, the most renowned on the “Plateau des Mille Etangs” (Thousand Ponds Plateau). A thematic path with six explanatory panels presents the river from various angles. It can be reached by foot, along the D486 (in the direction of Lure) at the entrance of the Servance village. The Écromagny Path. This approx. two-hour walk will take you through the small Écromagny Village nestled in the “Plateau des Mille Etangs”: there you will discover peatlands, the Pellevin Pond, Vosges sandstone, varnished steeple tiles, as well as a great view of the Ballon de Servance. Departure from the Town Hall. Explanatory Brochure on sale at the Townhall and the Tourist Office. The Esmoulières Trail. Breathtaking sceneries shaped by glaciers, enlivened by water, and dotted by windmills. Departure from the car park located à the entrance of the Esmoulières Village. Three hours of easy walk guided by 11 explanatory panels. The Melisey Path. A loop of approx. 1 hour through Melisey Town, interspersed by 9 stopovers with one common thread: water. The Faucogney Historical Trail. Discover the Faucogney Castral Town heritage along its main street and the Rue des Fosses. Admire the MXV Tower, the St Georges Church, the homes of public figures and craftsmen, the old castle stones… Departure from “Place de la mairie” for a one-hour tour. La vierge des Neiges (Our Lady of the Snow). Located at the “Motte des Deux Croix” summit, it can be reached via a small grassy path from the “Trou de l’enfer” junction, 500 metres from the Château-Lambert hamlet. The statue was erected in 1855 by the Château-Lambert inhabitants to thank the “Vierge” for having spared them during the 1854 cholera epidemic. Panoramic and guiding panels will help you fully appreciate the stunning views of Château-Lambert and the Ognon and Moselle Valleys. The Château-Lambert Hamlet. Located at an altitude of 700 metres, leaning against the mountain, Château-Lambert is a classified site resembling a hermitage, huddled around a little church built by the Kings of Spain in 1616. 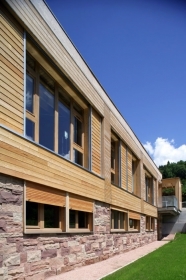 Its ridge stands out against the nearby Vosges Mountains. It has belonged to the Haut-du-Them Village since 1972. The “Sires de Faucogney” inherited Château-Lambert and built an eyrie in order to control traffic between the Comté and the Lorraine. Castel Humbert, located on the “Vierge des Neiges” site, gave its name to the village before being demolished in the seventeenth century during the Ten-Year War. This harsh steep land with poor and unworkable surface soil reveals a rich copper lode in the subsoil. In the prosperous seventeenth century, Château-Lambert counted around 700 inhabitants. The hamlet only houses twenty nowadays, but still attracts several thousand visitors who come to hike, and also to discover the Nature and Culture Area and the Departmental Mountain Museum. Departmental Mountain Museum. Created in 1977 by the Demard Family, the Departmental Mountain Museum is situated in Château-Lambert. The museum is partly outdoors, and portrays rural society in the early twentieth century. Farmer dwellings and activities, at the mill, the foundry, and the mines evoke life on the farm back then. Working in the forest (lumberjacks, bark lifters, colliers…) and wood craftsmanship (clog makers, carpenters…) were leading trades. Copper mines are revived through archaeological objects and models. A sledge exhibition completes the visit. The Mille Etangs (Thousand Ponds) Road. 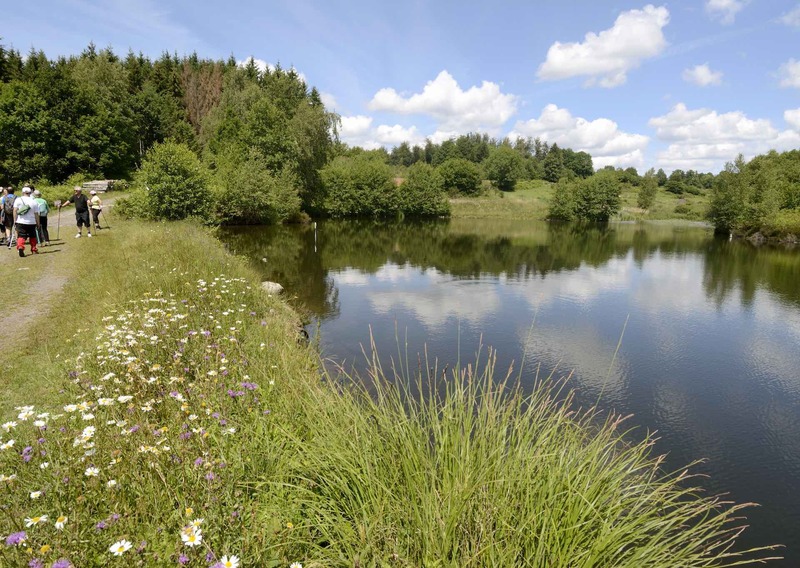 At the heart of the Vosges Saônoises, between the Ognon and Breuchin Valleys, the Mille Etangs Plateau is a great walking site, between water and stone, through forest or moor, along pastures and peatlands. It offers a breathtaking landscape fashioned by glaciers and farmers, complete with sparkling pond reflections. 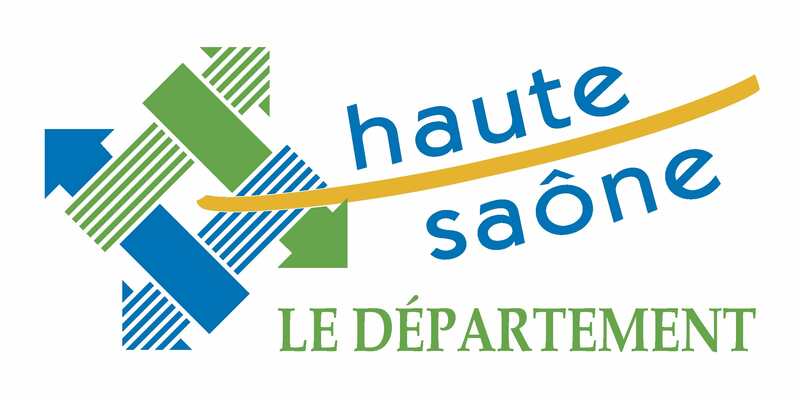 This 60 km road can be travelled by car or bicycle, and counts 14 stopovers: the bloc erratique, the moulin de la mer, the étang du Boffy, thecroix du Montandré, the village de Servance, the plateau des grilloux,Beulotte Saint-Laurent, the point de vue du reposou, the vallée de Saphoz, Faucogney and its historical trail, the étang Pellevin, the calvaires de la lantern, the Mairie-lavoir, the Bourg de Melisey. The Ronchamp Chapel. The “Notre-Dame du Haut” Hill, located in Ronchamp, has great historical, artistic and spiritual value. Le Corbusier built a chapel there in 1955. Then, in the 1970s, Jean Prouvé constructed a campanile. In 2011, the Sainte-Claire Monastery by Renzo Piano, along with the “Porterie”, complete the architectural ensemble nestled in an outstanding natural environment. The scenery unfolds across four different horizons: the North offers a unique view of the Ballons des Vosges, the East overlooks the “Trouée de Belfort”, the South reveals the first Jura summits, and the West dominate the Saône Valley. The hill is a Marian and multi-secular pilgrimage place, whose two major events are held on 15 August and 8 September. A Poor Clare Sisters convent has resided in the hill since 2009. The Martin Sawmill. The Martin Sawmillrepresents a prevailing trade in the “Doue de l’Eau” Valley in the early nineteenth century. In 1940, eleven sawmills stretched along the six kilometres that separate Servance from Miellin. 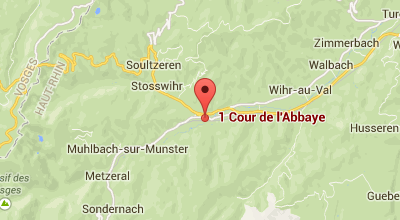 First established in Fresse in a neighbouring valley, it was rebuilt on a “Doue de l’Eau” riverbank. Abandoned for years, it is now restored back to life by Monsieur Tuaillon and the activities proposed by the Vosges Saônoises Nature House. 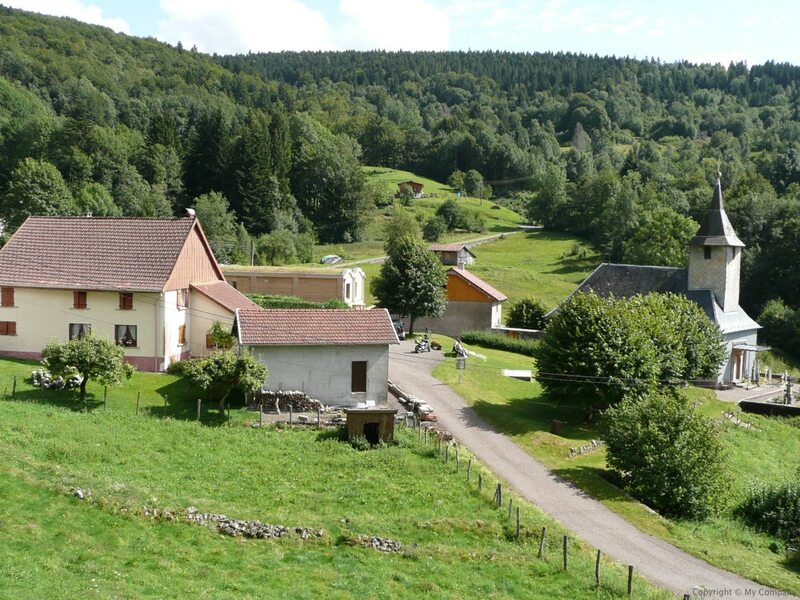 The sawmill is accessible from Servance and Miellin, a few hundred meters after the Grève Hamlet. The Ballon de Servance culminates at 1,216 meters. It is the most southern among the Ballons des Vosges, separated from the Ballon d’Alsace (1 247 m) by the Col du Stalon(958 m). It overlooks the Ognon High Valley. The Ballon de Servance Massif is very vast, including 4 crest lines, one of which stands as a natural and historical border with the Lorraine region. The Ballon de Servance represents a great natural water divide, with sources, streams and torrents running down its Saônois slopes by the Ognon Valley (Servance side), or the Rahin Valley (Plancher-les-Mines side), and joining the Saône and the Rhône to irrigate Camargue rice fields before plunging into the sea.